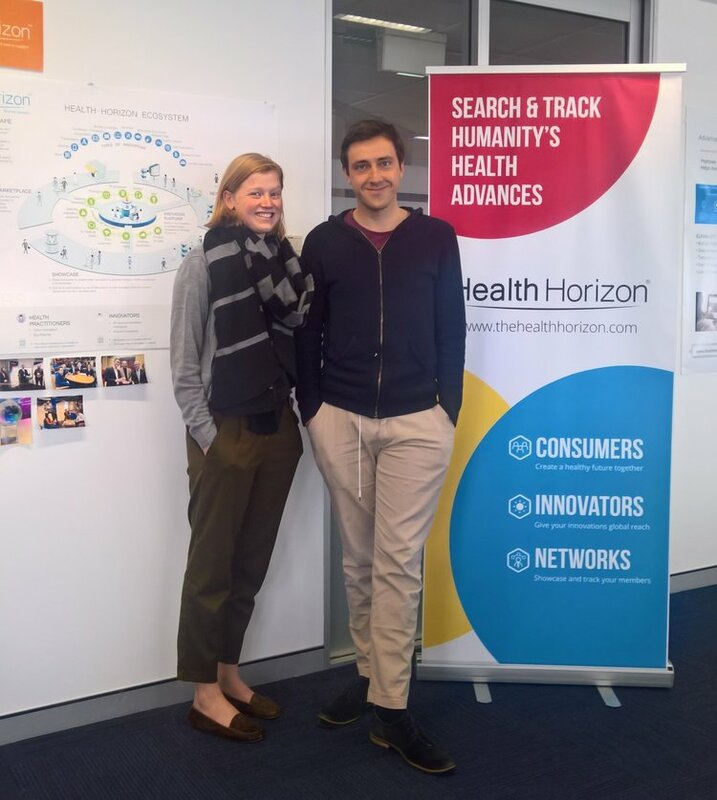 As well as being firmly entrenched in Canberra’s thriving innovation scene, Health Horizon are also major supporters of upcoming student talent, having attended two of the Ribit-CBRIN hosted ‘Get Connected Canberra’ speed networking events. Based at the Entry29 co-working space, Health Horizon is setting out to make humanity’s health advances more accessible and trackable, as well as helping users build connections and adhere to manageable timelines. “We joke that we’re a four sided marketplace – Innovators (health tech), Practitioners (people who apply and do), Investors (who support the innovators) and the Public (who consume and critique),” Managing Director Matthew McGann said. Health Horizon originally had tech students in mind, but rapidly switched gear upon meeting Madison Hartill-Law, an amphibious emerging professional who straddles both the scientific and communication spheres. Having graduated with a First Class Honours in Medical Science at USyd, she was completing a Masters of Science Communication at ANU. Madison’s professional goal, to “help scientists share their story with the world”, captured the attention of Health Horizon. “We knew we had to have her”, Matthew said. Just four days later, Maddison was employed in a communications role which has seen her develop content and handle media. “Initially we put her on a three month probation and then hired her as a part-time employee. Now we’re building her a team”. “We’re always on the prowl for top talent, going to every student event and Ribit makes that whole process more efficient. In the future we’d like innovators to tell their own story to the public, but until then, we want to help them gain exposure – bringing innovators on board before scaling”. Madison has ideas to give the industry a more “human touch”, as opposed to just focusing on the tech through articulating the purpose behind the innovation and empathising with the end user. Through finding the Founder’s unique story and giving them a human face, she made it a more personable experience.